The Kershaw 0400 Scavenger is one of the slimmer knives in the Zero Tolerance line. The blade is tanto style and coated in tungsten dlc for non-reflective appearance and corrosion resistance. One side of the aircraft aluminum handle has grips inserted while the other side with the pocket clip is slick so you can remove it easy. This knife is assisted opening so all you have to do is push the ambexdrous thumbstuds or pull the flipper on the back, and the blade comes flying out in a hurry. 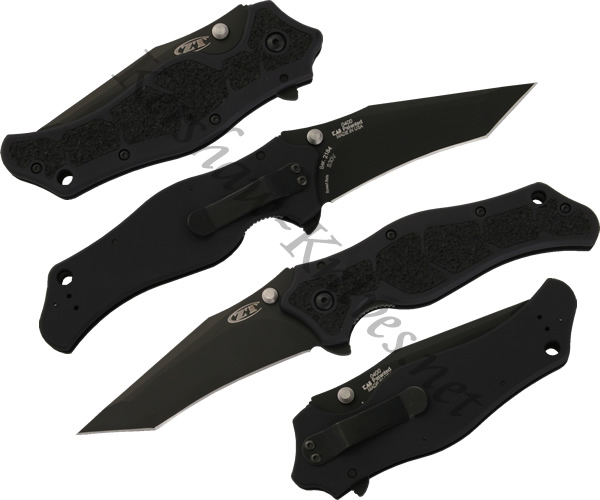 The Kershaw Zero Tolerance 0400 is MADE IN THE USA.